When I found out that I was going to Ecuador, one of things I was most excited about was the invisible line that separates the north and south of the Planet. 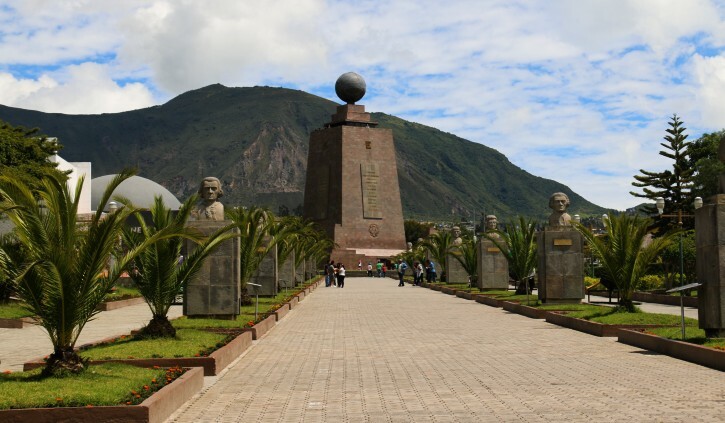 Ecuador is a small country with big attractions – and I don’t just mean the monument that marks the equatorial line and the middle of the world. For many people the mainland of Ecuador is used simply as the gateway to access the famed Galapagos Islands, but this colourful Andean nation really is a destination to be explored in itself. A surprising highlight for me was the La Selva lodge in the north west of Ecuador. It was a short flight from the capital of Quito to Coca, where the Amazon rainforest is accessed via the Napo River. I have to admit I was a little sceptical about the 4 days that I was to spend so close to nature – to say I was apprehensive about the possibility of sharing my shoes with a large hairy spider would be an understatement, but as it would turn out, there was nothing to be afraid of. It took 2 hours in a motorised canoe along the Napo River, watching the township disappear behind us, then an easy 15 minute walk followed by a dugout canoe ride, before finally arriving at La Selva Lodge. What a sight! 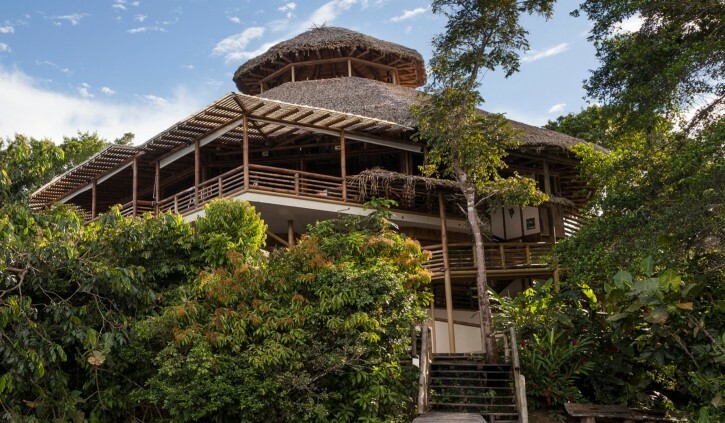 La Selva Lodge is a luxury deep inside the Amazon Rainforest. I nervously laughed and hoped the next 4 days passed quickly. Following my first excursion out onto the river with a Pisco Sour in hand and watching an incredible sunset, I never wanted the next 4 days to end. Ecuador was off to a great start. After four days of exploring the forest, seeing exotic plants, watching fascinating birds, snakes and a sloth (thankfully no spiders!) it was time to head back to Quito and out to one of the haciendas in the Otavalo region. Wow. The beauty of these old family properties which have been wonderfully maintained and restored to serve as accommodation for the modern traveller really is astounding. After the Amazon adventure it was nice to sit back by the fireplace of Hacienda Cuisin with a glass of wine and a book in hand with nothing to do but enjoy the space and soak up the feeling of a home – if only those walls could talk. 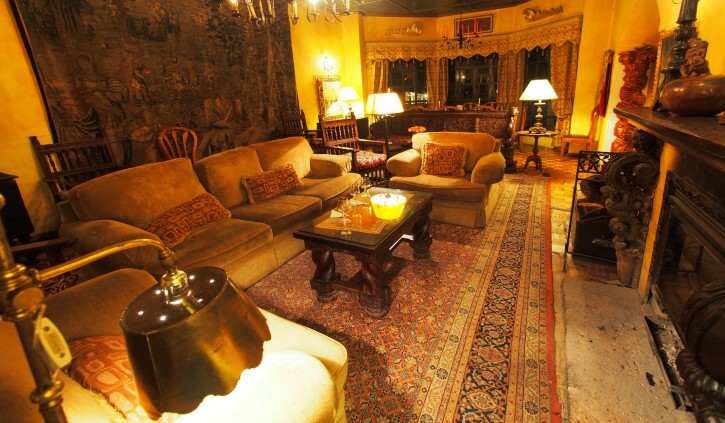 The rooms aren’t fancy, but are certainly comfortable, with thick alpaca loomed blankets. Many rooms have their own fireplaces and as the temperatures drop, the housekeeping ladies tuck hot water bottles into the comfy beds before you have finished your dinner. Going to bed early was easy in these cosy circumstances. Soon enough I had been in Ecuador for 10 days and I had already experienced so much – colourful markets, extravagant cathedrals dripping with gold, colonial architecture, the remote jungle, and some of the best Pisco and ceviche I’ve ever tried – (Don’t let the Peruvian’s fool you, Ecuador has their own take on this quintessential dish), yet I STILL hadn’t been to Galapagos Islands. It left me wondering how people could come all this way to spend just a few nights before and after their Galapagos trip. 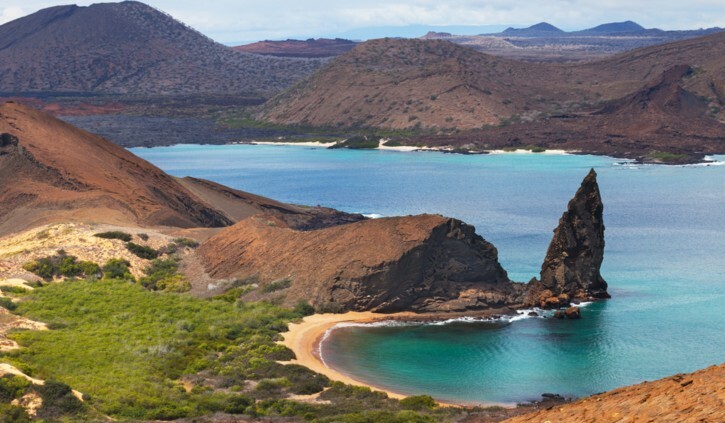 I shouldn’t say that the best was saved til last, as that would not be doing justice to the other amazing sights on offer in Ecuador, but a trip to Galapagos Islands is on many people’s bucket list and rightly so. For me, it wasn’t just about just seeing the wildlife, abundant and within reach. It was about understanding the significance that those tiny islands, just a speck in a vast ocean, played in the theory of Evolution. It blows my mind how some of the creatures survived in such an inhospitable environment, and how each island is different not only in animal life but in landscape. 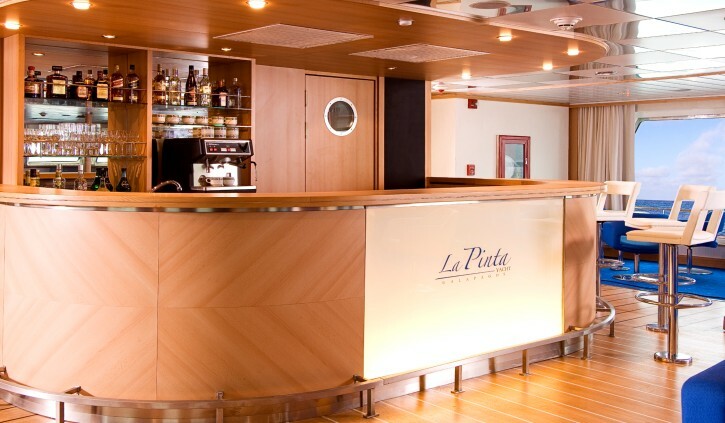 MY La Pinta is a very comfortable, 60 metre ship which can carry up to 48 passengers. The friendly casual mood on board ensures a great balance between passenger privacy and social interaction. There are three communal areas for relaxing, a gym and a Jacuzzi for those who really want to get into holiday mode. I could not think of a better way to end my time in Ecuador. I had seen so much, had such knowledgeable guides and experienced many different people so proud of what their country has to offer. If you are looking for a destination that has it all, then you have found it. Explore our sample Ecuador itineraries here and experience all that this small, beautiful country has to offer on your Tailor-Made Journey.